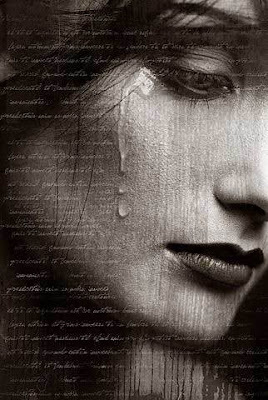 my sweet old etcetera: Why do women cry? I found the following story online and was really touched by it. I hope you enjoy it as much as I did. "All women cry for no reason,” was all his dad could say. God said: "When I made the woman she had to be special. I made her shoulders strong enough to carry the weight of the world, yet gentle enough to give comfort. I gave her an inner strength to endure childbirth and the rejection that many times comes from her children. I gave her a hardness that allows her to keep going when everyone else gives up, and take care of her family through sickness and fatigue without complaining. I gave her the sensitivity to love her children under any and all circumstances, even when her child has hurt her very badly. "I gave her strength to carry her husband through his faults and fashioned her from his rib to protect his heart. I gave her wisdom to know that a good husband never hurts his wife, but sometimes tests her strengths and her resolve to stand beside him unfalteringly. And finally, I gave her a tear to shed. This is hers exclusively to use whenever it is needed. “You see, my son,” said God, “the beauty of a woman is not in the clothes she wears, the figure that she carries, or the way she combs her hair. That was so beautiful! Thank you for sharing it! I've been getting emotional about just anything lately but I don't mind because it means I'm in touch with things. Thank you for sharing. It was really touching and so well written. XO.